I made this card for an elderly chap who has had cards from me for his Wife for years. 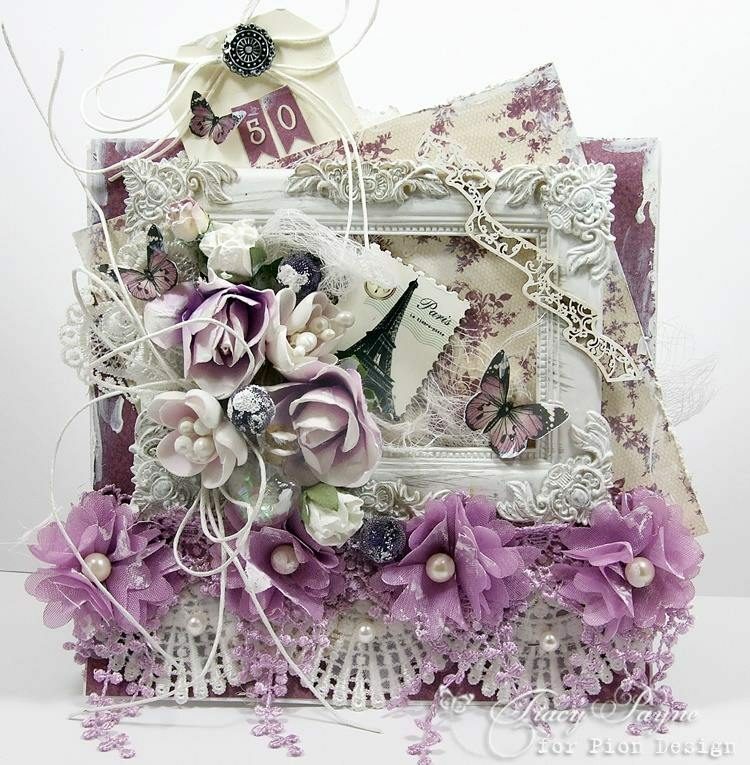 She loves purple so each one has been made using shades from of purples/lilacs and the Witching Hour papers were just perfect for this card. All the cards I have made for this lady are in 3D wooden frames and are all around the wall in her bedroom. How lovely that she treasures each and every one.